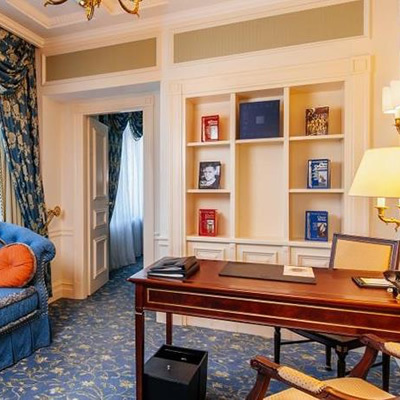 The Fairmont Grand Hotel in Kiev can be found ideally located next to the Dnipro River. This is a rather luxurious hotel that is up there with some of the more grand hotels we have had the pleasure to stay at. 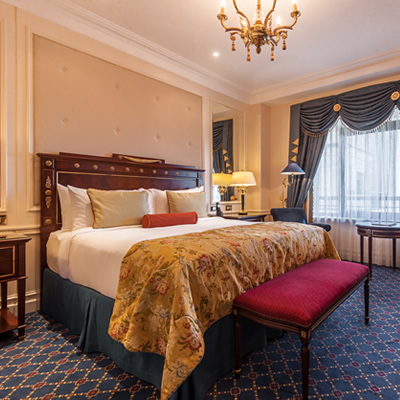 Kiev is a wonderful place to visit, being full of gorgeous architecture and culture, and the Fairmont Grand Hotel really does provide the most idyllic base from which to explore. Blending both historical and modern features and facilities, this hotel pays homage to the essence of Kiev. When we arrived we were greeted with a smile by the friendly team and checked-in efficiently. We were then shown to our one bedroom suite, which boasted stunning views of the river which were most enjoyable. Our suite consisted of separate bedroom with king sized bed and a well-appointed sitting room which included a small desk along with sofa and arm chairs. We were also delighted to find a small kitchen area complete with a coffee machine, kettle and mini-bar. There’s certainly no shortage of storage space within the suite; with numerous wardrobes, drawers and cupboards available there really is a place for everything, so don’t worry if you haven’t packed light. The décor is traditional with a touch of glamour which rolls through into the huge bathroom that offers a separate bath and walk-in shower along with a single wash basin surrounded by polished marble, as well as a separate toilet room with a glass door. There was also a further toilet that could be found just off the sitting room, should you be entertaining guests. 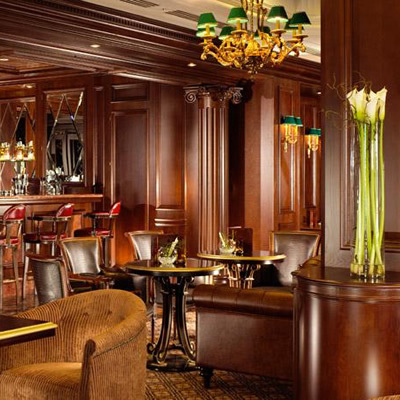 In terms of facilities, the Fairmont Grand Hotel is certainly not lacking. If you’re looking for somewhere fine to dine then look no further than the Vogue Café, which is well worth a visit, especially if you begin your evening in their Vintage Bar for an aperitif. The Cake Shop also sells the most beautiful macaroons that simply must be experienced. For those looking to keep active during your stay you will find a large fitness room showcasing all the latest equipment, as well as a small indoor swimming pool. If you’re looking for more of a pampering experience, we would recommend indulging in one of the many spa treatments that the spa has to offer. We would highly recommend exploring the local area, however, and if you’re staying at the Fairmont Grand Hotel then it all truly is right on your doorstep. A few minutes’ walk will get you to the Golden Gates, Kyiv Pechersk Lavra or St. Sophia Cathedral; all of which really must be experienced. It’s also just over half an hour to Boryspil International Airport. We were most impressed with our visit to the Fairmont Grand Hotel in Kiev, and would certainly return during our next visit. This is one of those hotels that understands luxury inside out, and where hospitality comes with effortless ease. It comes highly recommended by us as a fine choice in this beautiful city.